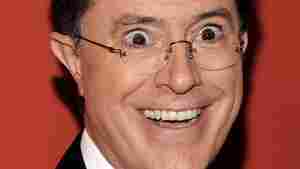 Mr. Colbert, Take Down That Box! January 24, 2013  It was nice of Stephen to show our post about Beyonce on his show Wednesday night. But where was The Two-Way logo? And what about your faithful blogger's name? It was behind a graphic! Who's not recognizing us now? December 17, 2012  Republican Sen. Jim DeMint is stepping down to be president of the Heritage Foundation. 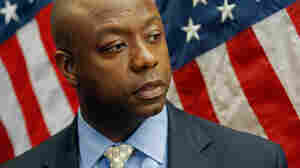 Scott is a freshman congressman and will be the Senate's only African-American. December 8, 2012  Former Florida Republican Gov. 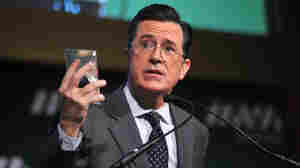 Charlie Crist is officially a Democrat; comedian Stephen Colbert is politely but firmly rejected as a potential senator to succeed retiring Republican Jim DeMint because he forgot what South Carolina's state drink is. July 16, 2012  Colbert on aliens. 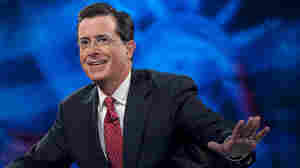 February 21, 2012  Without directly saying so, Comedy Central's funnyman all-but-confirmed Monday night that he was off the air for two days last week because his 91-year-old mother Lorna has been ill.
February 20, 2012  The Colbert Report is set to resume production Monday, after a hiatus last week that was brought on by concerns over the health of Stephen Colbert's mother. Lorna Colbert, 91, lives in Charleston, S.C., where the Comedy Central star grew up. 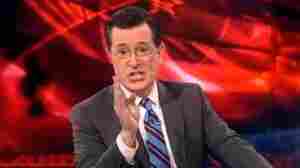 February 10, 2012  House Minority Leader Rep. Nancy Pelosi turned the tables on Stephen Colbert with a faux political ad on YouTube that calls for stopping the comedian and his superPAC by passing a bill that would that would force corporate campaign donors to reveal themselves. 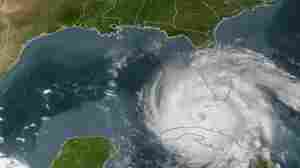 February 9, 2012  Democratic Rep. Stephen Holland has introduced a bill in the state House to change the name of the gulf. It's a satirical shot aimed at his Republican colleagues, he says. Stephen Colbert had the idea before him. January 31, 2012  A new disclosure report documents how Republican presidential hopeful Rick Perry lost his fundraising base. Donors gave up long before Perry dropped out two weeks ago. 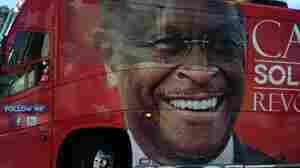 January 21, 2012  Could Herman Cain's one percent of the South Carolina vote be thanks to a late-breaking endorsement by Comedy Central comedian Stephen Colbert? 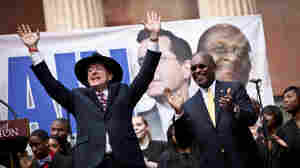 January 20, 2012  In South Carolina, comedian Stephen Colbert and former GOP candidate Herman Cain joined forces at an event dubbed the "Rock Me Like a Herman Cain: South Cain-olina Primary Rally." 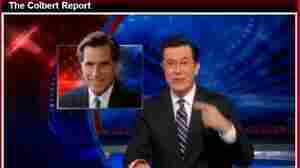 January 19, 2012  The former presidential hopeful has the help of comedian Stephen Colbert and his superPAC Americans for a Better Tomorrow, Tomorrow. 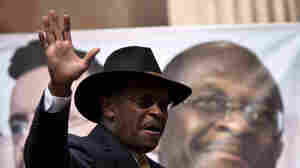 A poll paid by his PAC found 18 percent in South Carolina are "kinda somewhat likely" to vote for Herman Cain. 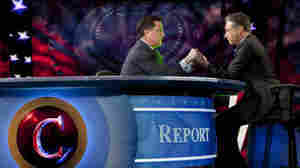 January 13, 2012  He's also given Comedy Central's Jon Stewart control of his SuperPAC. What high jinks will they get up to? January 12, 2012  We've been through this with him before, so talk from Comedy Central's Stephen Colbert about running for president needs to be viewed with suspicion. He's at it again and promises a "major announcement" on his show tonight.